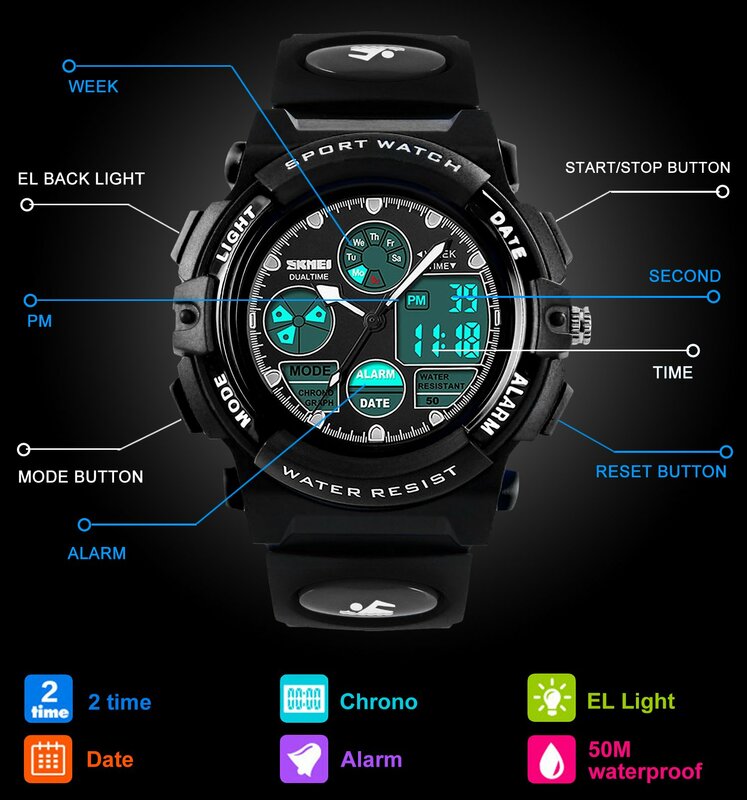 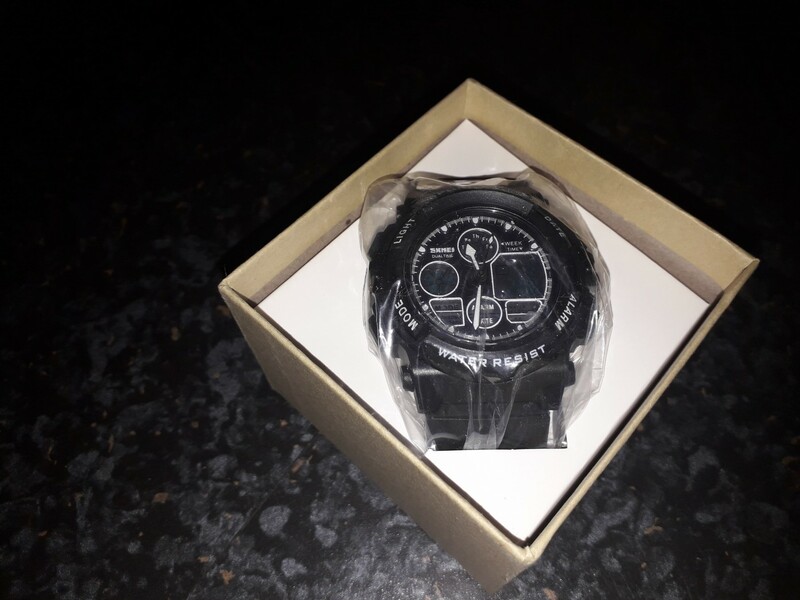 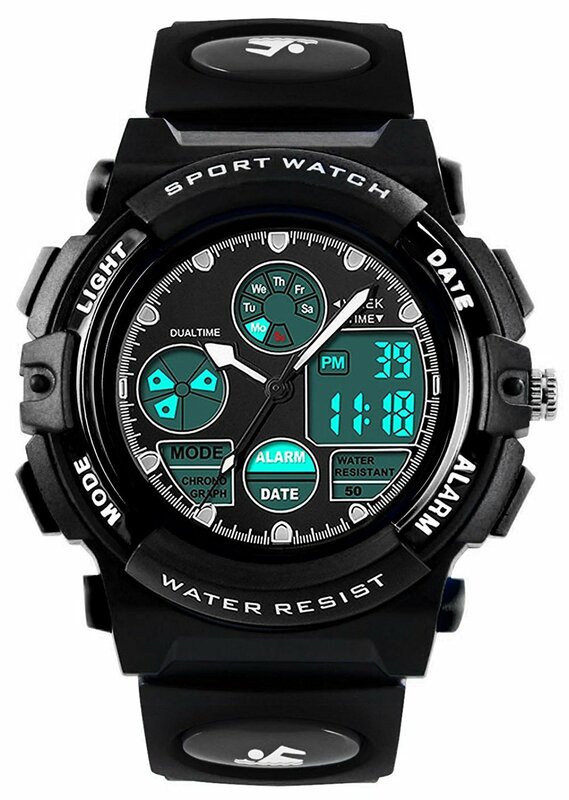 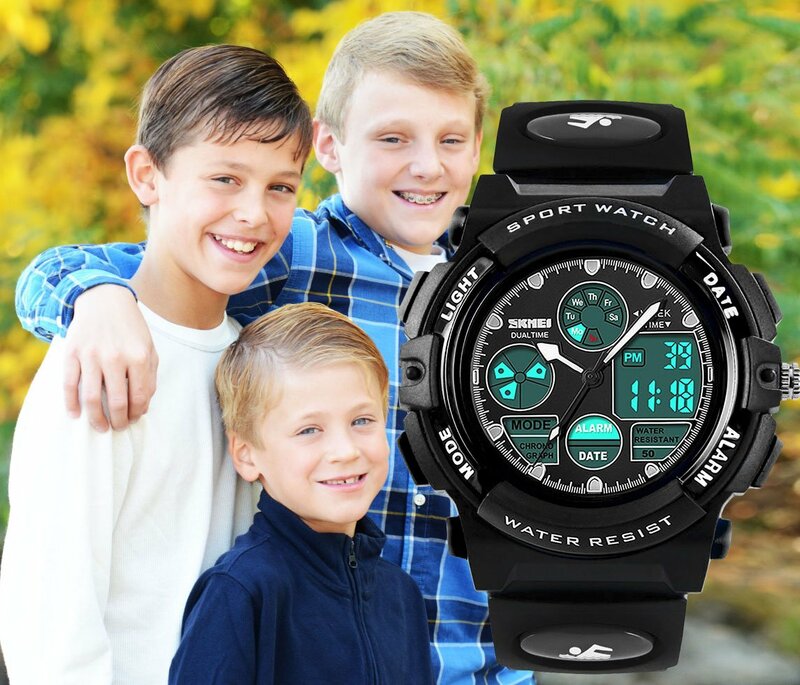 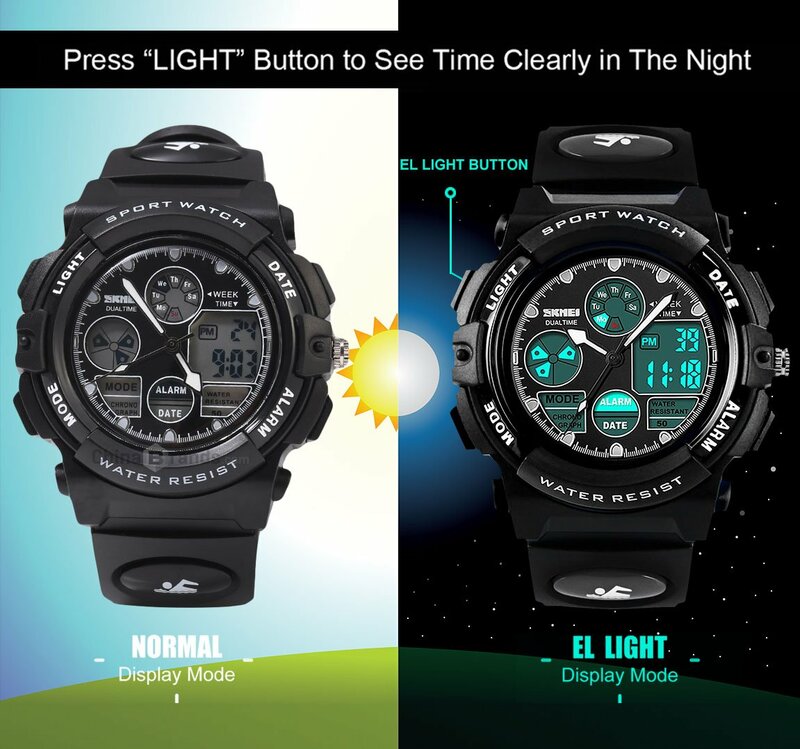 and analogue which is ideal for both the older or younger child but is is multi functional too with its back light, Stopwatch, in 24 hours and has alarm, Date, Day display. 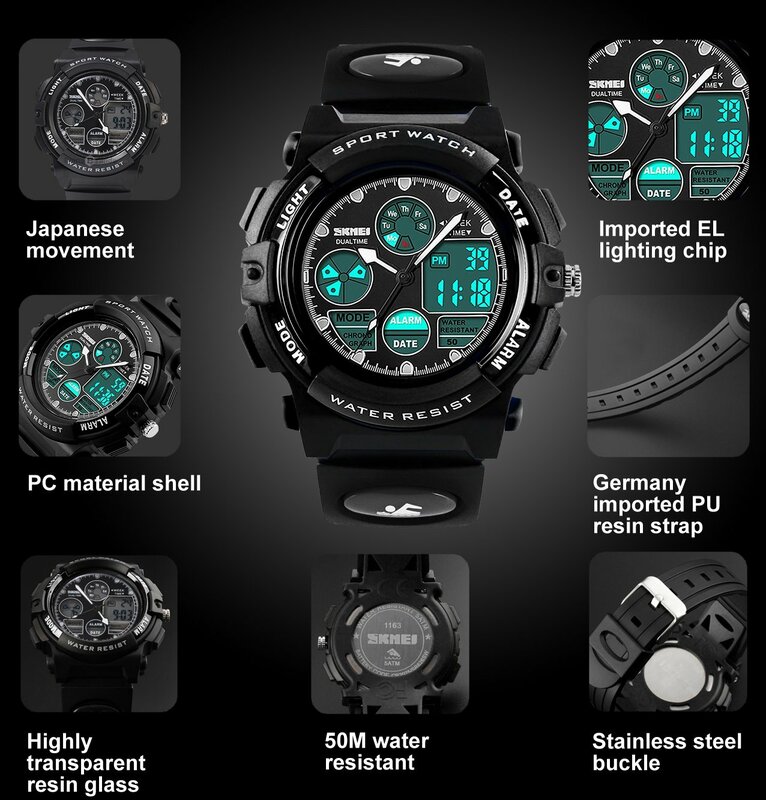 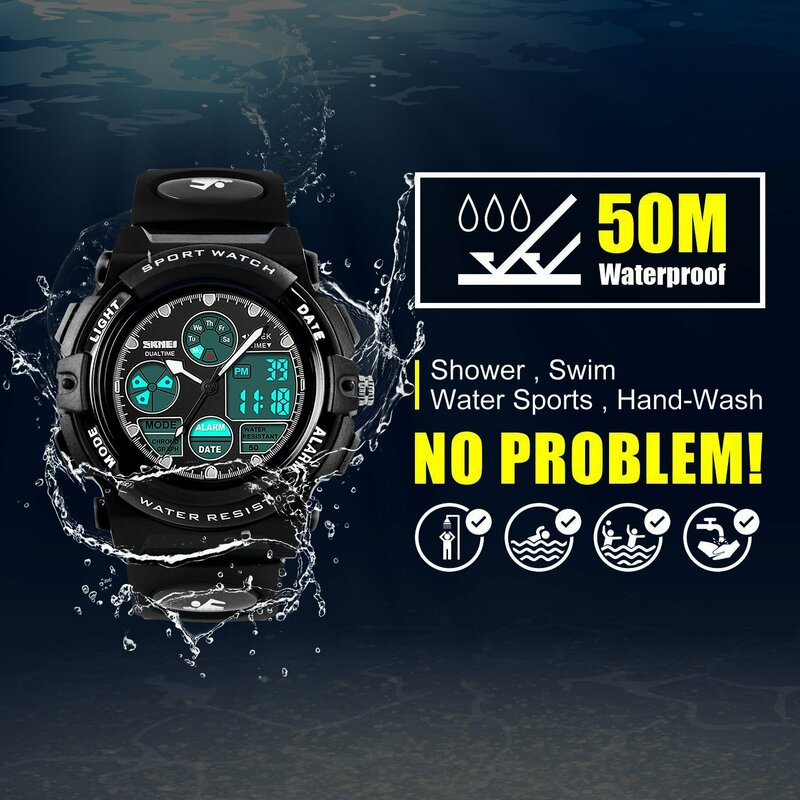 It is waterproof up to 50 meters the diameter is 4.4 cm and suitable for both sexes . 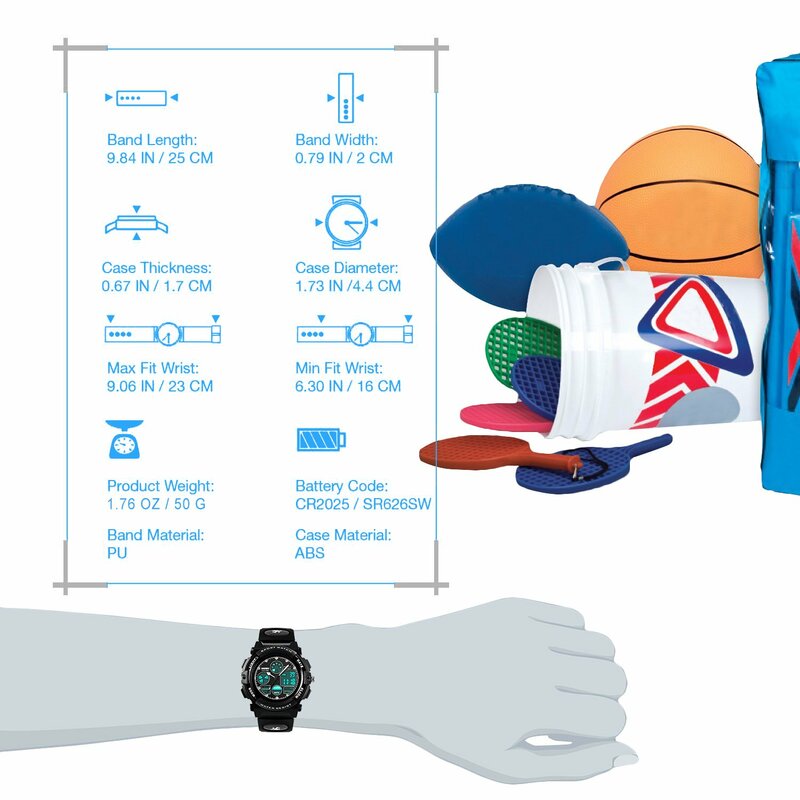 The look is on trend and made with soft plastic is comfortable to wear.